Spaying and neutering have many benefits for both you and your pet. If your pet hasn’t already been spayed or neutered, make an appointment with us to perform the surgical procedure your pet needs. Anesthetic safety and proper pain management are a priority. For more than 45 years, we have been the veterinarians that locals trust for pet spay and neutering in St. Paul, MN. You often hear about the behavioral benefits of pet neutering and spaying, but there are also a number of medical benefits as well. In the case of female cats and dogs, they actually see an increase in their lifespan and overall quality of life as well. Spaying pets have less uterine infections and even breast tumors, which are found to be malignant or cancerous. It is best to spay before your pet has their first heat to get if you want to protect them from these diseases. Male dogs also see a decline in cancer rates as well when they are properly neutered. 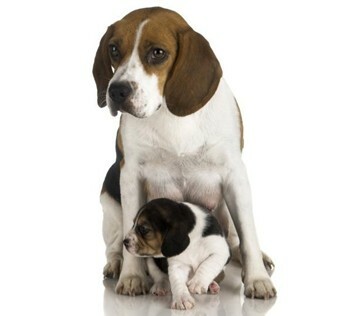 Neutering helps to prevent testicular cancer and some prostate problems as well. While you might not think so, by choosing to have your pet spayed or neutered, you are really giving them a better quality of life. Many of the benefits of sterilization apply to male animals, however, one of the biggest advantages apply to female pets. Your spayed female pet won’t go into heat. Heat cycles vary from animal to animal, but in female cats it usually lasts for four or five days every three weeks during the breeding season. Why is this bad? In an effort to attract a mate, females will yowl and urinate more frequently -- often all over your house. Dog and cat neutering is where you see many of the long-term behavioral improvements. Male dogs are less likely to run away from home for instance. A dog in search of a mate will do whatever they can to find one, including escaping your yard or running away from you. This increases the likelihood of them being seriously injured or killed. Neutered males also tend to behave better because they have less testosterone. This includes benefits such as dogs urinating less due to a lower drive to mark their territory. Your dog might also be less likely to mount other dogs, people, and objects. Early neutering also helps to prevent some aggression problems. Contact us to spay or neuter your pets and protect their health. We proudly serve pet owners in St. Paul, MN.